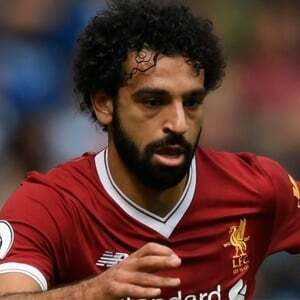 Stoke-on-Trent - Substitute Mohamed Salah struck twice as Liverpool brushed off a first-half scare to win 3-0 at Stoke City on Wednesday and climb to fifth place in the Premier League. But prior to Salah's two-goal blast, which took his tally to 12 in the Premier League, Liverpool, who went ahead through Sadio Mane in the 17th minute, had ridden their luck. Diouf went sprawling, but referee Martin Atkinson chose only to brandish a yellow card to the Reds' stand-in skipper. It took Liverpool's goal to sting Stoke into action. Stoke were back on the front foot in the second half, Shaqiri floating a dangerous ball into the box and former Liverpool midfielder Joe Allen's placed shot clipping the foot of Dejan Lovren and sailing inches wide. Stoke should have equalised in the 69th minute with a classic ex-Liverpool combination, Allen blazing over after Peter Crouch headed down Erik Pieters's deep cross. He started the move with a fortunate bounce off Ryan Shawcross, but was perfectly placed at the far post to meet Mane's cross with a full-blooded left-foot volley that gave Grant no chance. Salah added further gloss to Liverpool's victory when he added his second and his team's third. Pieters twice failed to deal with Alberto Moreno's long diagonal ball over the top, first mis-controlling then under-hitting a back pass, and Salah did the rest, slotting under Grant.